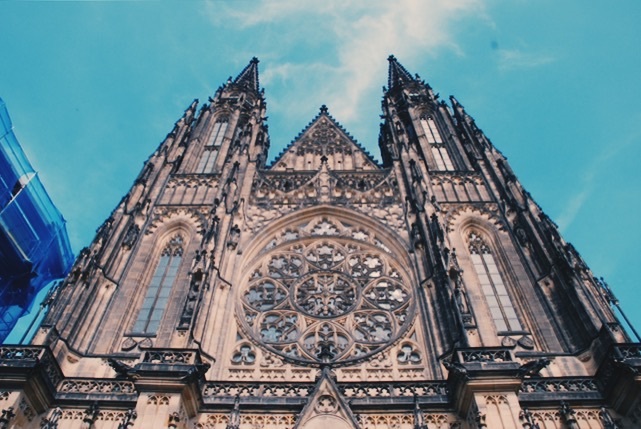 With its attention to detail in its intricate architecture, Prague has got to be one of the most beautiful cities I’ve been to yet, but it also reminded me how much I miss forests and that sense of solitude. By the end of this bus ride (Munich to Innsbruck), I will have been in 6 cities and 3 countries in 7 days. This jet-set life has been both exciting and exhausting, but I’ve no desire to stay any longer. Backpacking all these cities has been like the dating, spending time in cities I know are not The One and I just want to keep moving on because why bother. Maybe you’re thinking, “Well, you haven’t spent much time in these cities.” I guess I believe in love at first sight, don’t walk by again. 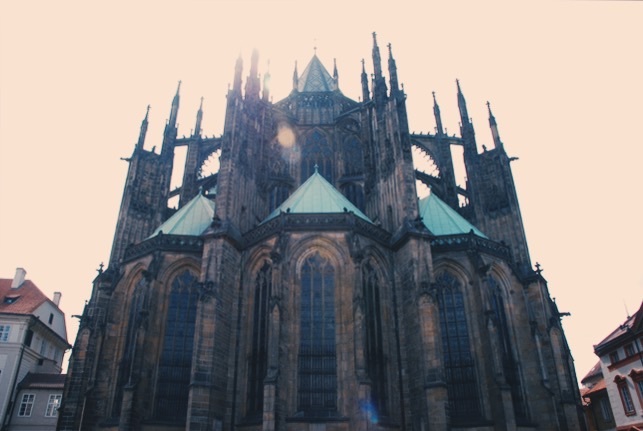 Berlin, Leipzig, Prague, Pilsen and Munich are all great cities. They’re cities that would have been nice to have a group of friends with to experience the night life. I was fortunate enough to have a group of friends in Pilsen, also met off couchsurfing, but unfortunately due to my “when in Rome” attitude, I tried steak tartare for the first time and my body hates me for it. 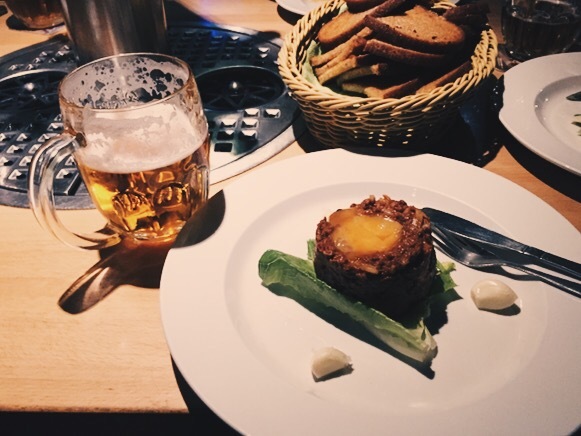 Filling your belly with beer, raw beef and egg hinders you from going on what should have been a beer tour of the city. Nice one, Jante. 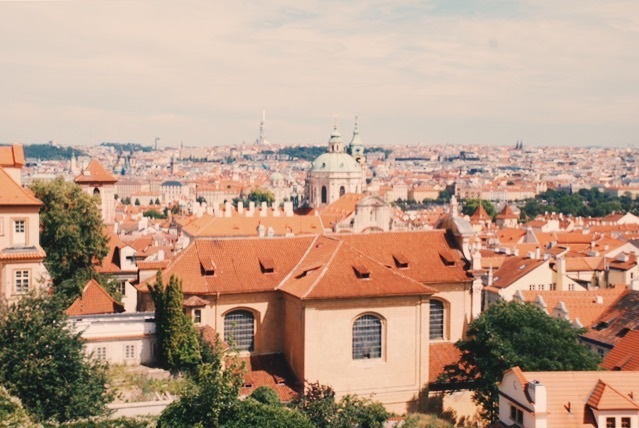 Prague is truly a beautiful city, but it is so full of tourists. My favorite part was when I wandered through a park. Realizing there was a John Lennon Wall and it was nearby, I sought it. While doing so, I saw a dog that I watched it walk around for a bit. Seeing pets have been putting a smile on my face lately. Then I spotted the owner, an old man smiling at me as he also watched his dog whom I assumed didn’t speak English. I smiled back and continued on. 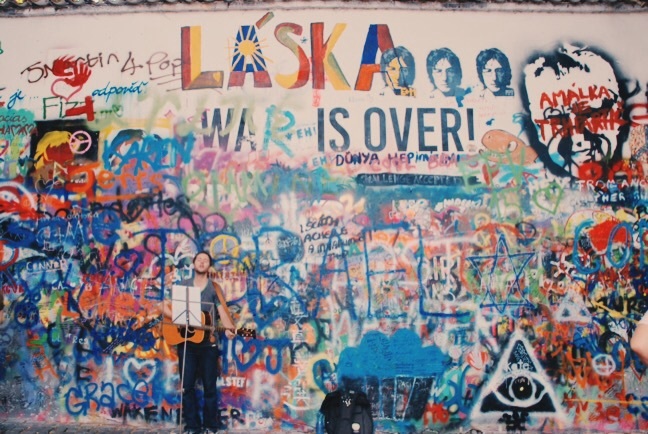 I looked on my map one last time trying to find this wall, when suddenly I hear a voice behind me with a Czech accent, “Lennon Wall?” I turn around and there was the old man. Somehow he knew exactly what I was looking for. He was able to give me very basic directions- right cornersky, right cornersky, left cornersky. Down the street from the Lennon wall, you’ll find the John Lennon Bar. I found a room left unoccupied, ordered myself a beer and enjoyed the songs of the Beatles. The room’s acoustics were prime. 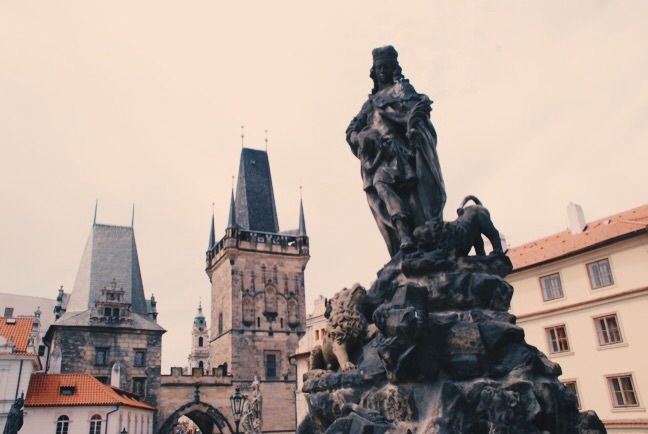 I roamed the city for a while and eventually found myself lured to a riverside outdoor restaurant that held views of the castle and the Charles Bridge after seeing a girl enjoying a beer on a small dock. I finished my beer and was waiting for another one. 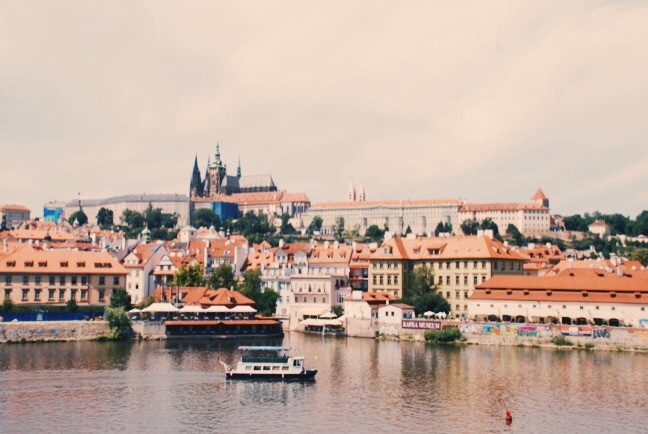 In this time, fireworks went off behind me and the man playing classic rock songs on acoustic sang the words of Pink Floyd, “How I wish, wish you were here.” I finished my night on that dock with my beer, enjoying the picturesque view seen in Prague’s postcards. That night was the most content I have been being alone on this entire trip and grateful that to be there. Although I was content being alone, I was happy to know I’d have friends in Pilsen the next day. 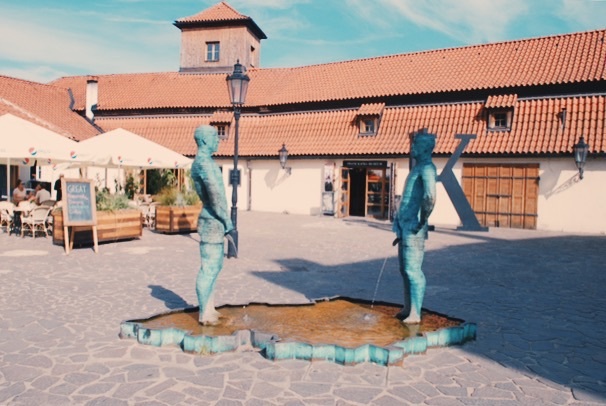 Prague was full of beer, weird statues and cool bars and Pilsen wasn’t any different. As I said earlier, I was a complete failure in Pilsen, sick from ingesting nothing but raw meat and beer. I did meet great people and one with the tragic love story. 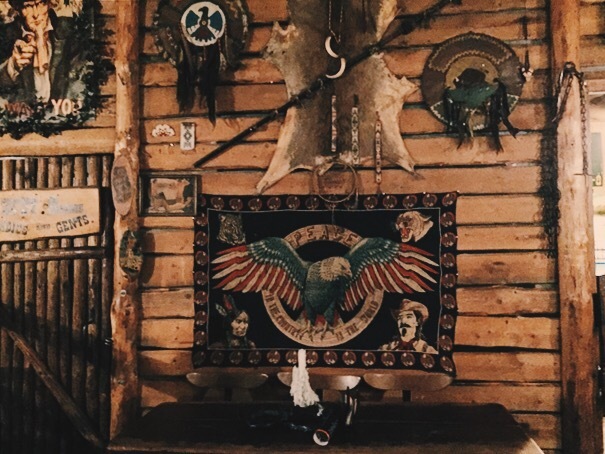 I was taken on a tour of a brewery and then later to a really cool, old western-themed bar. It would’ve been nice to be in Pilsen longer to actually enjoy it and not spend it recovering from poor decisions.